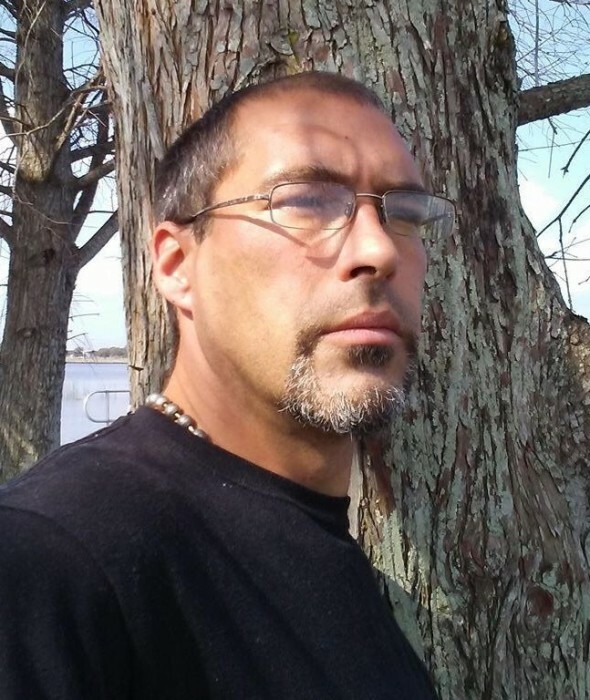 Christopher “Chris” John Stout, age 38, of Shermans Dale, and formerly of Duncannon and Shermans Dale, fought bravely against the disease of addiction and, after over a year of sobriety, that disease unexpectedly claimed his life on Saturday, July 14, 2018. He is now in Heaven with his loving grandparents and is watching over his beloved children. Chris was born on Thursday, November 29, 1979 in Camp Hill to Norman Thomas Stout, Jr. and Christina Marie (Russell) Stout. Chris is preceded in death by his maternal grandparents, James “Jim” and Jane Russell; his uncle, James “Jim” Russell; his paternal great grandparents, Clifford and Helen Pebley; and his beloved dog, Tabby. Chris’ survivors include his two children: Chantal “Chanee” Knapp, of Duncannon, Draven “Little Man” Stout, of New Bloomfield; his parents, Christina and Norman Stout of Duncannon; his sister, Samantha Bucy and her husband, Joshua, of Loysville; his niece, Gabrielle “Gabby” Bucy of Loysville; his paternal grandparents, Tom and Arlene Stout of Boiling Springs; and his beloved K-9 companion, Stash. Chris attended Bible Baptist High School in Shiremanstown. His hard work and perseverance, while a member of Troop 94 in Shermans Dale, earned him the rank of Eagle Scout. Chris loved the outdoors, to swim, and to sit around the campfire. He enjoyed playing billiards and was involved in many leagues in Perry County including: TAP, Mountain Stone Inn and White Oaks. His favorite place to shoot billiards was at the 8 on the Break Pool Hall in Mechanicsburg. Chris’ plumbing, carpentry and electrical skills were learned while working by his father’s side. His family will remember Chris as a great dad and a man who was always willing to put others before himself. All are welcome to join Chris’ family at his gathering of family and friends on Monday, July 23, 2018, from 1:30 p.m. until time of service at 3:00 p.m. at Myers - Buhrig Funeral Home and Crematory, 37 East Main Street, Mechanicsburg, PA 17055. Cremation was private. Chris’ family invites everyone to join them for a time of Dutch Treat food and fellowship at Hoss's Steak & Sea House, 61 Gettysburg Pike, Mechanicsburg, PA 17055 immediately following his memorial service. Contributions in celebration of Chris’ life can be made to benefit his children and to support their education. Donations of any amount are welcome and greatly appreciated. To donate, simply click on the green “Appeal for Donations” button on Chris’ obituary which appears on Buhrig.com. Donations by check can be made payable to Myers - Buhrig Funeral Home and Crematory, 37 East Main Street, Mechanicsburg, PA 17055. Credit card donations by telephone can be made by dialing (717) 766-3421. The family thanks you for your kind contributions. Chris’ family has entrusted his care to Myers – Buhrig Funeral Home and Crematory in Mechanicsburg, (717) 766-3421. Read Chris’ full obituary, view his memorial video, and sign his official guest book at Buhrig.com.